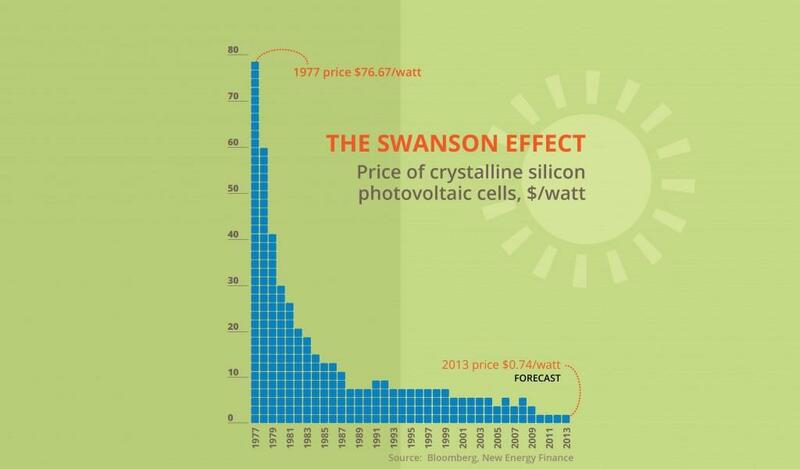 The below graph shows the Swanson Effect, named after the founder of a solar panel manufacturing company, Richard Swanson. 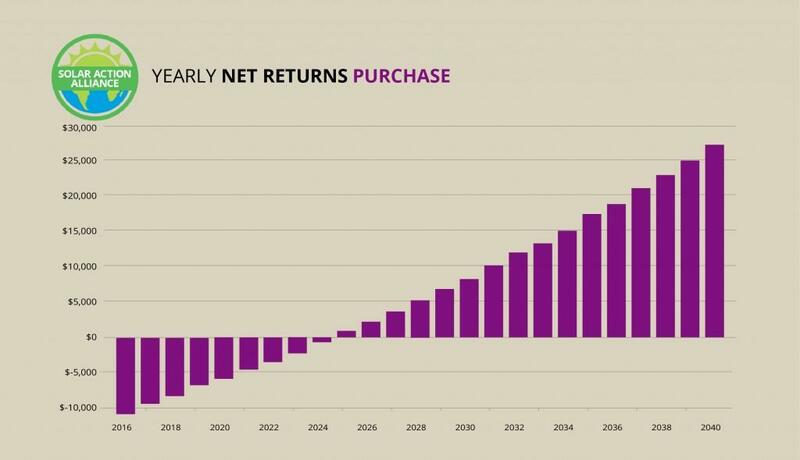 He noticed that solar photovoltaic modules tended to drop in price 20% for every doubling of global manufacturing. What that means for you is that no matter your budget, a solar system is probably within your reach. A few years ago fossil fuels were mainly powering our homes, but today hardly a minute goes by when out on the freeway, or on a Las Vegas city street, solar panels can be seen collecting free, clean and green energy from the greatest provider of power on the planet – the sun. Our city is power hungry and we are out to get whatever power we need through any means available. Solar energy never goes up in price, as it cannot be depleted like oil and coal, so it makes economic sense to collect what our Earth provides for free. We may curse the sunshine on a calm, summer day but it provides energy to cool our homes. Solar is taking off in Las Vegas because it saves so much money in whatever way you choose to power your home or business. If you pay cash for a compete installation you will save money in the long term on your electricity bills. A similar saving takes place if you select to pay for your investment through a low interest monthly loan. Over time thousands of dollars will remain in your bank account when you convert to solar. You may even assist in powering lights and other utilities if you produce more power than you need. 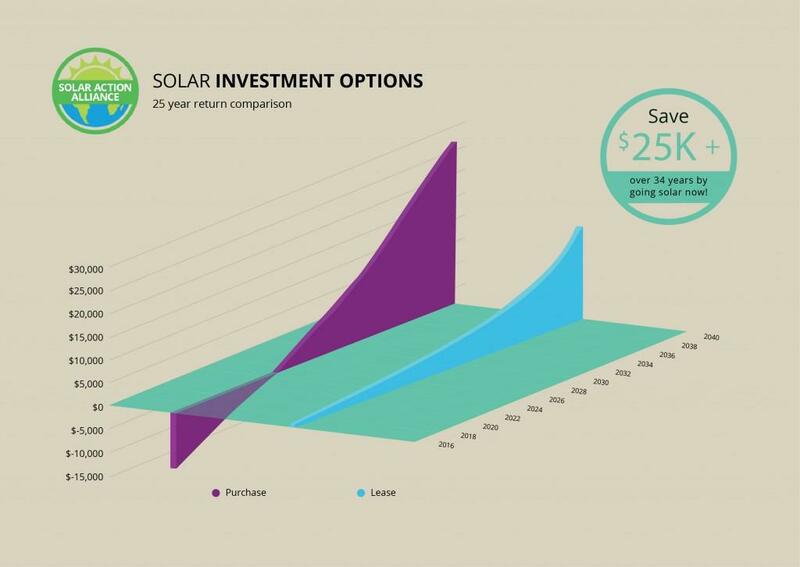 This simple graph outlines different options for solar financing for a 5-kW solar panel system installation. If you decide to make a cash payment for your system, you can expect a savings that exceeds $25,000 over the expected 25-year lifespan of your installation. Thanks to rebates offered by the utility company, you’ll be looking at upfront costs of only around $17,500 for a 5kW system. After Federal tax breaks and the money you save on electricity, at the end of the year you’ll only be down a little over $10,000. Electricity in Las Vegas is expensive and that’s why a solar panel investment will save you large sums of money—your system will pay for itself in just seven years. 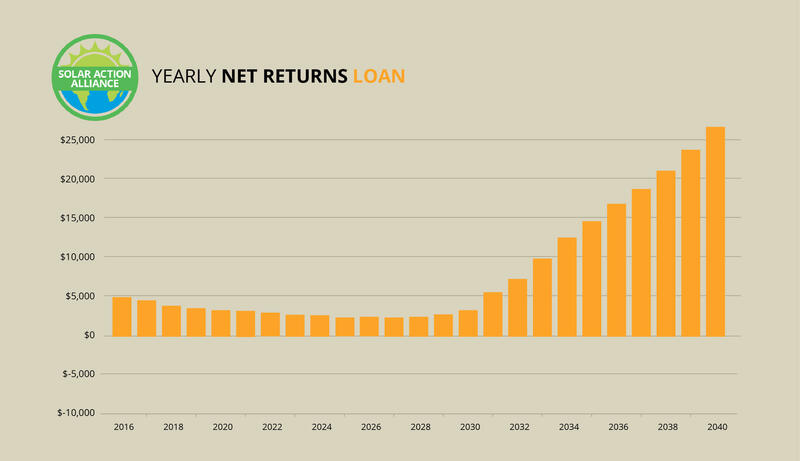 If you are short of money or you don’t intend upon remaining in the same home for too long, a lease could be the right way to get into solar now, without worrying about debt or loan repayments. With this option you will not get any solar panel tax credits or power rebates. 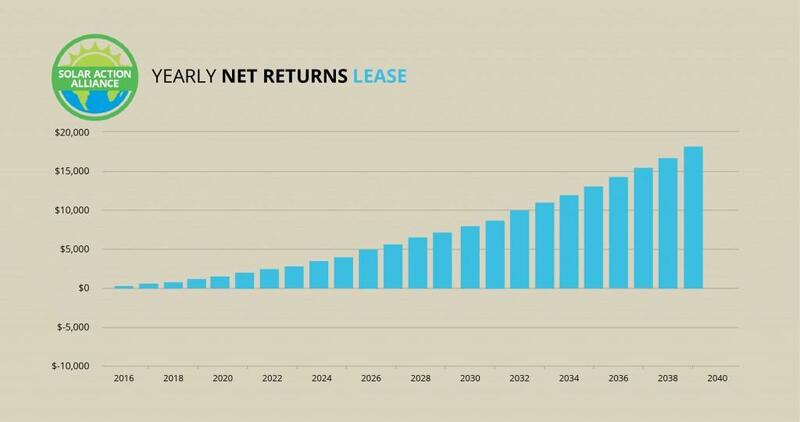 You are still likely to make savings worth thousands of dollars on your electricity bill while the lease is running. Leases are not complicated and all they require is your signature on the lease agreement. You have to front up with a monthly amount for the solar panels placed on your house, but the bill for your electricity is decreased by far more than what you pay for the lease. If you are able to sign an agreement long term with a monthly payment that is low, that’s great. One example is a 25 year lease for a solar system of 5kW with a monthly payment starting at $63. This will attract a saving of $1,024 on electricity in the first year which is a net saving of $273, and that is just for buying into solar. Electricity prices go up annually and so your savings will increase each year until your lease ends as your costs are so low. By the time the 25 year lease expires, you will have saved more than $14,000, and paid nothing else. Buying a solar system with a loan could be a good choice if you want to own your own solar system but do not want to pay out anything to begin with. You can use a home equity loan, but you may also qualify for an unsecured loan. Your payments will be slightly larger than your savings during the repayment period, but after you have paid off the loan you will own your system free and clear and will get free electricity for the remainder of its working life. The key thing is to use the Federal solar tax credit to pay off as much of the loan as possible right away. Doing so dramatically reduces how much interest you have to pay as well as shortening your repayment period by several years. The problem is that not everyone is eligible for the credit. If you are not, then leasing (or buying with cash) is your better option. 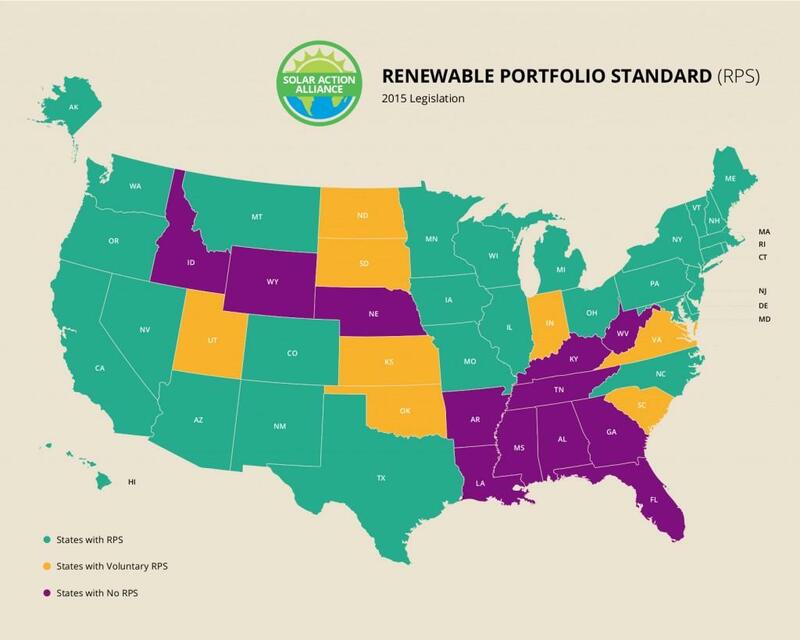 A Renewable Portfolio Standard sets a certain minimum percentage of a state’s energy that must come from renewables by a certain date. Nevada’s RPS is 25% by 2025, with a 6% solar carve-out. That is admirably aggressive and, even better, the state has a distributed generation requirement, such that half of that 25% has to come from residential generation—as opposed to large-scale solar plants. All of this means that Nevada utilities have every reason to help homeowners who want to go solar. Nevada as a whole gets relatively low marks—it does have some pro-solar policies, such as solar energy rebates, but has a lot of room for improvement. Fortunately, Las Vegas has some extra pro-solar policies of its own. 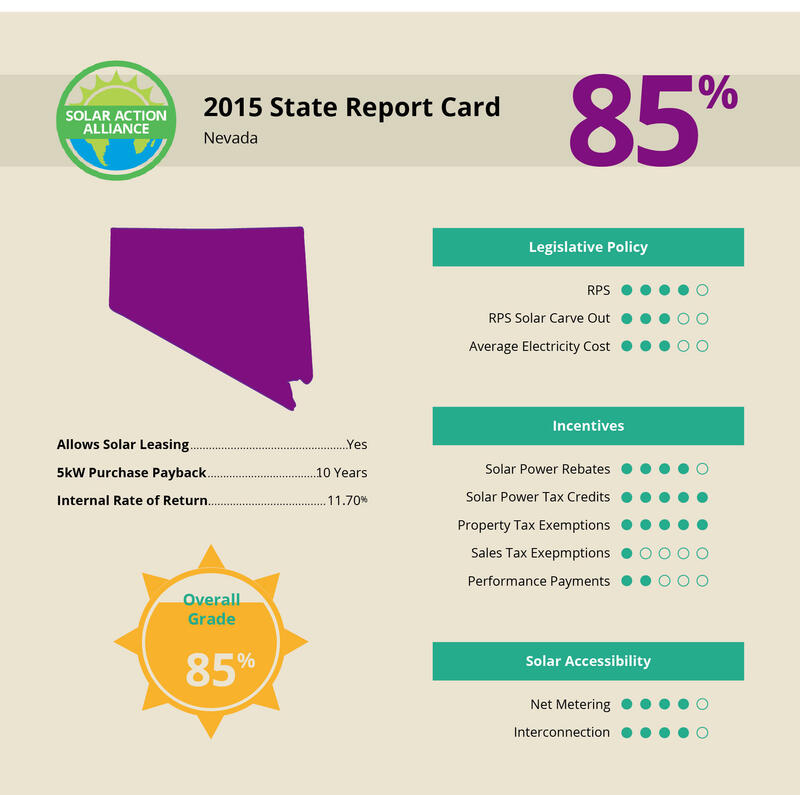 In Las Vegas, the value that solar adds to your property is not taxed. That is not true for Nevada as a whole. Then there are those no-collateral solar loans. The bottom line is that Las Vegas is a pretty good place to go solar, and by going green, you’ll help make the world a pretty good place to live.